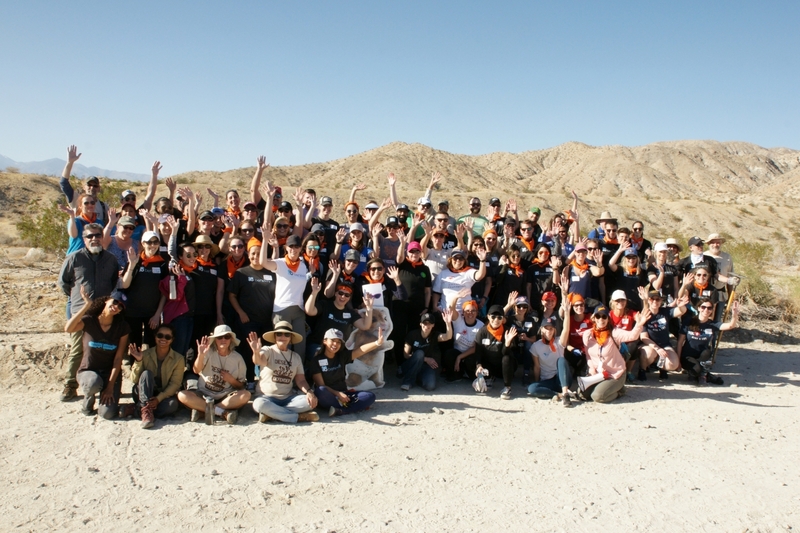 JOSHUA TREE, Calif., February 8, 2018 /3BL Media/ - Corporate citizenship leaders from 40 Fortune 1000 companies have joined the Mojave Desert Land Trust in a stewardship event organized by Benevity. 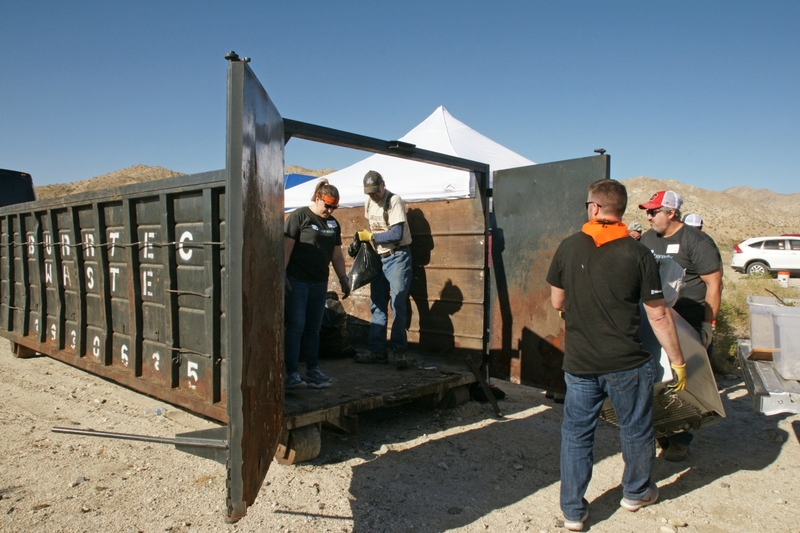 In just two hours, a 20-yard-long dumpster donated by Burrtec was filled with old tires, household debris, broken glass, building waste, clothing and shell casings. 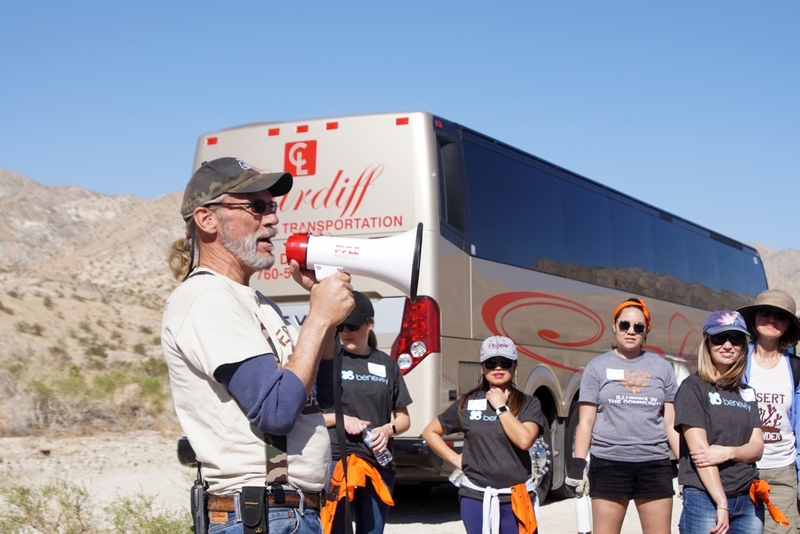 Aided by Mojave Desert Land Trust volunteers and the Bureau of Land Management, 67 corporate high-flyers helped remove trash from 2-3 acres at Long Canyon, a BLM property bordering Joshua Tree National Park and Big Morongo Canyon Preserve. Such canyons are sand sources for the Coachella Valley. Micro trash originating in these areas can break down and enter the blow sand systems in the valley which support endangered species such as Coachella Valley fringe-toed lizard. Each year at their annual Goodness Matters Client Conference, Benevity partners with a local organization for a volunteering event. For the second year in a row, Benevity has selected MDLT as they want to give back to their host community in a meaningful way and understand how important environmental concerns are to Californians. Benevity, Inc., a B Corporation, is a global leader in online workplace giving, matching, volunteering and community investment software. Many global brands rely on Benevity's award-winning cloud solutions to power corporate "Goodness" programs that attract, retain and engage today's diverse workforce by connecting people to the causes that matter to them. With software that is available in 17 languages, to more than four million users around the world, Benevity will process over a billion dollars in donations and 10 million hours of volunteering time this fiscal year to more than 100,000 charities worldwide.